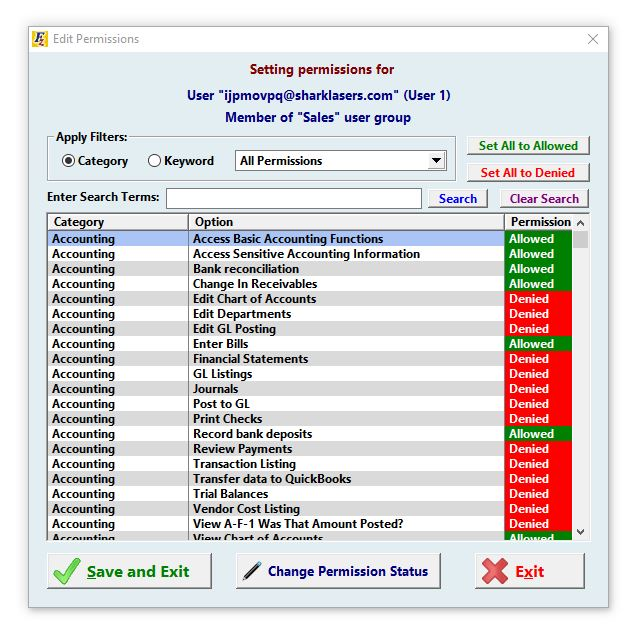 This screen allows you to quickly and easily manage permissions on a specific user. The screen is optimized to allow greater flexibility in the amount of access you can give your users. To add a permission, click on the item you want to add and click Change Permission Status, or simply double click it. This list of permissions boasts over 150 items you can enable/disable for your users. For a more detailed/organized list of all available permissions Click Here. Once you’ve selected all the permissions you want for this user, click Save and Exit.